Those who fill out and submit an ABF Freight System application are looking to join a company that works across North America to deliver products to the companies and people who want or need them. Links to apply for jobs at ABF Freight System are at the bottom of the page. 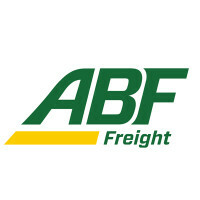 ABF Freight System was started in 1923 as a simple local freight hauler. Since that time, the company has grown and become a subsidiary of the ArcBest Corporation, which was formerly known as the Arkansas Best Corporation. Running in partnership with ABF Freight System, is ABF Logistics, who helps the company plan how the shipments are going to go. Headquartered out of Fort Smith, Arkansas, ABF Freight System has over ten thousand employees. They service most of North America, and have positions available in a large majority of their offices, whether it’s driving across the country, finding new customers, or helping to unload products. By striving to offer their customers quick shipping services, which include same-day, next-day, and second-day shipping, ABF Freight System aims to be the fastest and safest while providing outstanding customer service. The company works closely with their sister companies to make sure that they are the best. There are two branches that people who want ABF Freight System careers can follow, either the freight or logistics route. Those who choose to choose to work in logistics will find positions all over the country and will work to plan routes and create a customer base that wants to work with ABF Freight System. ABF Freight System jobs on the freight path with usually find themselves working more physical jobs. This branch is where all the truck drivers and dock workers find their jobs, and will usually find that they’re treated respectfully and given several benefits that people in the logistics routes don’t get. How old do you have to be to work at ABF Freight System? Age requirements vary by position. In order to be a driver for this company, you must be over twenty-one. To work on the loading docks, you must be over eighteen. As you browse ABF Freight System jobs online, make sure to read all the position need carefully, as some may require you to have various degrees, certifications, or experiences. People with ABF Freight System jobs get a number of benefits, but they all vary by position. The payment for a majority of jobs is based off of the Teamster Union Scale, which gives their employees higher wages. Most positions also come with training to make sure that employees are responsible and understand their jobs. City Driver – Within the area that the distribution/consolidation center covers, you’ll pick up and deliver various products to their destinations. As you work, it will be expected that you maintain a safe working environment for yourself and your coworkers. Compensation is around $45,000 a year. Account Manager – The main point of this position is to work on helping the business grow in a variety of ways. You’ll spend a lot of time researching customers, old and new, to understand their business model and offer them the best services that you can. Compensation is around $50,000 a year. Dock Worker – You’ll work on the loading dock to load and unload cargo from various trucks as they come and go from your area. Maintaining a good safety record while on the job and having great work ethic is a must. Compensation is around $20,000 a year. Operations Supervisor – As trucks roll in and out, you will make sure that everything is running smoothly and safely. Before the trucks even come in, you’ll make sure that the load is balanced evenly to make sure that the driver can make it to their destination safely. Compensation is around $40,000 a year. Why do you want to work for ABF Freight System? Because this is an extremely common interview question, you should be prepared for it. Talk about what drew you to the company, whether it was the culture or benefits and why it’s your first choice in places to work. What experience do you have? If you have any relevant experience, make sure to highlight it. If you don’t, talk about what you can bring to the position and offer the company. Use plenty of examples to back up and support any claims that you may make. Where do you see yourself in the next few years? Your interviewer wants to know if you see yourself with the company. Be realistic in your career expectations, but talk about how you’re willing to take on extra challenges and responsibilities in order to move up in the company. Several positions may require you to carry heavy objects or stand for long periods of time, so you may be asked: Is there anything that could keep you from doing your job? If you’re straightforward and honest, the company will probably work with you, so make sure to be up front about anything that could keep you from doing your job. Some ABF Freight System positions may require you to work closely with customers, so you may be asked: How would you take care of an upset customer? Walk your interviewer through the steps you would take to turn the customer’s experience around. How to apply for ABF Freight System online: start by deciding if you want to work on the logistical or the freight side of the operation. Once you’ve done that, search for the position you want and the location that you want to work in. Read through all the position requirements before filling out and submitting your ABF Freight System application. There is no printable application for ABF Freight System available on their website. Before attending your interview, do research on the company and the industry in order to come up with a list of questions that you can ask. For an entry level position, this may seem excessive, but it will place you above the other candidates as it shows that you think ahead and are prepared. Your interview will probably take place in a semi-formal setting, so you should dress in business casual, at the very least. If you’ve applied for a managerial or supervisory position, a suit would be appropriate. Have a positive and friendly demeanor as it will give a good impression. Show gratitude at the opportunity to interview with this company. After your interview, inquire about the best way to check on your hiring status. Few candidates will learn if they got the job during their interview because ABF Freight System will want to screen all applicants before making a final decision on who they hire. Adecco Staffing: See our guide for careers at Adecco Staffing. Memphis Light Gas And Water: Checkout the application page for work at Memphis Light Gas And Water. Manpower: See our guide for careers at Manpower. National Grid: Checkout the application page for work at National Grid. Baltimore Gas And Electric: See our resource page for more information on Baltimore Gas And Electric careers.